What: Adventurers Giving Back, part of the Vail Symposium’s Unlimited Adventure series. When: Thursday, March 8. Doors open at 5:30 p.m.; program begins at 6 p.m. Cost: Tickets are $10 prior to 2 p.m. on the day of the program. VAIL — It’s easy to find stories about the first ascents, the new trails blazed and the new heights climbed. But what about the next day or the next, when the peak has been bagged and the fanfare has died down? For some people, the real achievements are when adventuring flows into “giving back.” On Thursday, March 8, at Donovan Pavilion, the Vail Symposium’s Unlimited Adventure program is all about how some of life’s greatest adventures come after the records have been set. The panel will consist of Alan Arnette, who started Project 8000 for Alzheimer’s; George Basch, founder of the Himalayan Stove Project; Luis Benitez, the director of the Colorado Outdoor Recreation Industry Office; and Ellen Miller, the first American woman to complete the Everest trilogy. Pamela Johnston, the executive director of the Himalayan Stove Project, will moderate. 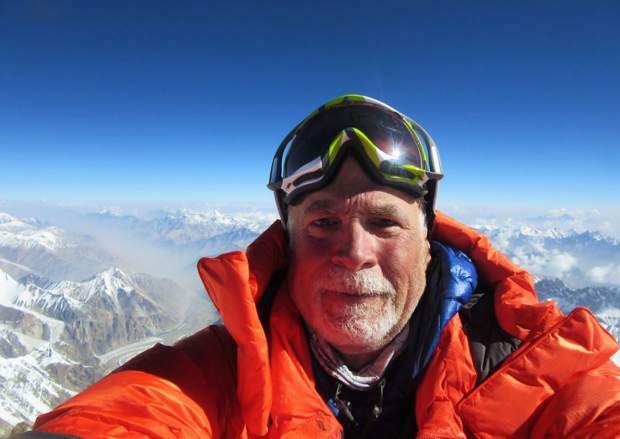 The 18th and oldest American to summit K2 at age 58 in 2014, Alan Arnette is an Alzheimer’s advocate and passionate climber who has reached more than 50 million people and raised close to $300,000 for Alzheimer’s disease research in honor of his mother with his Project 8000 for Alzheimer’s. With summits of Everest, K2 and Manaslu under his belt, Arnette is planning to attempt the 11 mountains above 8,000 meters (26,247 feet) he has not yet summited. If successful, he would only be the second American and 35th person to climb all 14 of the 8,000-meter mountains. George Basch, aka “Curious George,” has circled the globe as an adventurer, explorer, photographer and a creative entrepreneurial businessman. He is the founder of the nonprofit Himalayan Stove Project, an organization dedicated to preserving the Himalayan environment and improving the health of the people living there. The project provides clean-burning, fuel-efficient cook stoves as replacements to traditional stoves or open-fire pits which cause unsafe levels of indoor air pollution and use excess fuel and has, as of late 2017, delivered almost 5,000 stoves. Coupled with emergency Earthquake Relief work in 2015, his organization has impacted more than 40,000 people in Nepal since 2012. Eagle resident Luis Benitez is a mountain guide, motivational speaker and now serves as the first director of the newly created Colorado Outdoor Recreation Industry Office, serving as an advocate for the state’s bustling outdoor industry. Benitez’s credentials cover nearly every aspect of the outdoor world, having scaled the highest points on each continent a total of 32 times. He previously served as director of the Colorado Outward Bound School and the Rocky Mountain Region of Outward Bound Professionals, which he said instilled a tremendous service ethic: If you can contribute, then you do contribute. A Vail Valley resident for more than 20 years, Ellen Miller is a USATF Certified Level 2 Endurance/Athletic Coach and works as an Outdoor Fitness Coach in the Vail Valley and is the Coach/Manager of the US Women’s Mountain Running Team. She was the first American woman to climb Mt. Everest from both sides, Nepal and Tibet, in addition to climbing other Himalayan 8000-meter peaks: Lhotse, Cho Oyu and Manaslu. She’s the founder of The Climb for Literacy, a local grassroots event involving young climbers that raises awareness and funds for literacy in the Vail Valley, and she created and directed the Vail Mountain Winter Uphill Race/Hike as a 100 percent fundraiser to support young athletes in mountain/trail running.